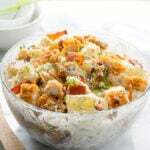 Get ready for this Ultimate Chicken Bacon Ranch Casserole! 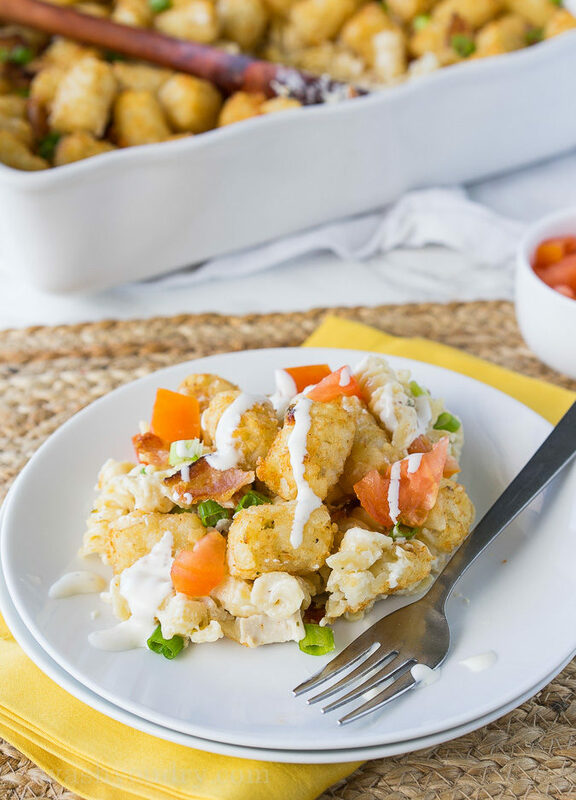 This hearty dinner is filled to the brim with creamy pasta, chicken, bacon and then topped with crispy tater tots. I’m going to admit something right now that is really hard for me. I have a picky eater who is 6 years old. —GASP! 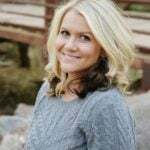 This food blogging mama of yours is tired of it! I’m no short order cook, so she just picks at what I give her. My picky little eater actually had seconds of this phenomenal casserole! So what makes it so fantastic? Well, to start it’s loaded with creamy ranch-infused alfredo pasta. 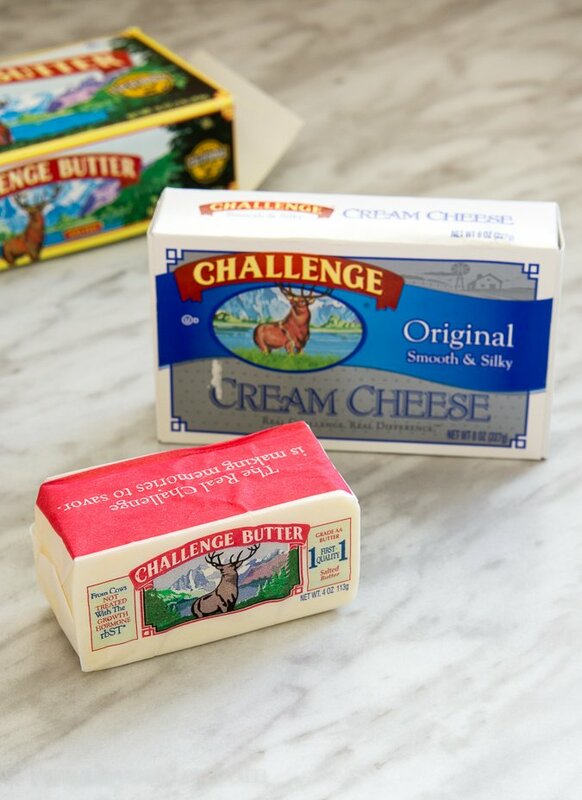 If you haven’t tried Challenge Butter and Cream Cheese yet, then you are missing out. Good news – Challenge Dairy is now available in all 50 states! Challenge is a California based company that prides itself on the freshest and creamiest of products. It’s a freshness you can definitely taste! 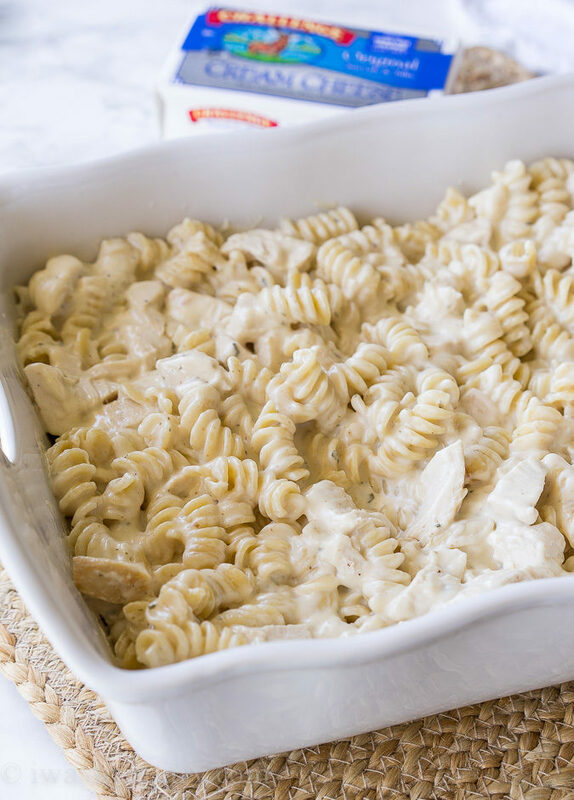 The super simple alfredo sauce is tossed with rotisserie chicken and tender pasta. Before I added the chicken, I stirred in a bunch of mozzarella cheese too, which makes this casserole extra cheesy and creamy. Then, since this is the “ultimate” chicken casserole, I added a layer of crispy bacon and tater tots on top! Naturally this recipe was a big winner. My whole family gobbled this one up! I served this with some diced tomatoes and a drizzle of ranch dressing on top. So good! 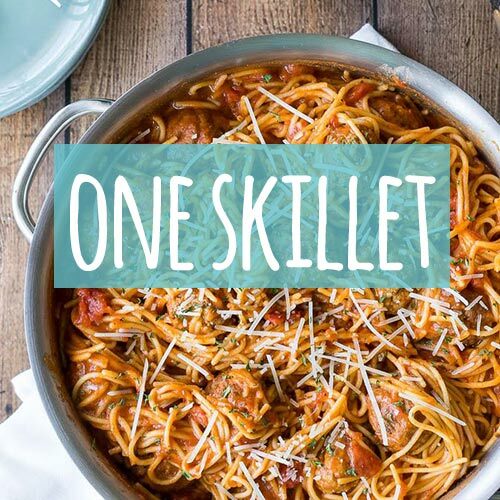 If you’re ready for a weeknight dinner that will be loved by all, this one is it! 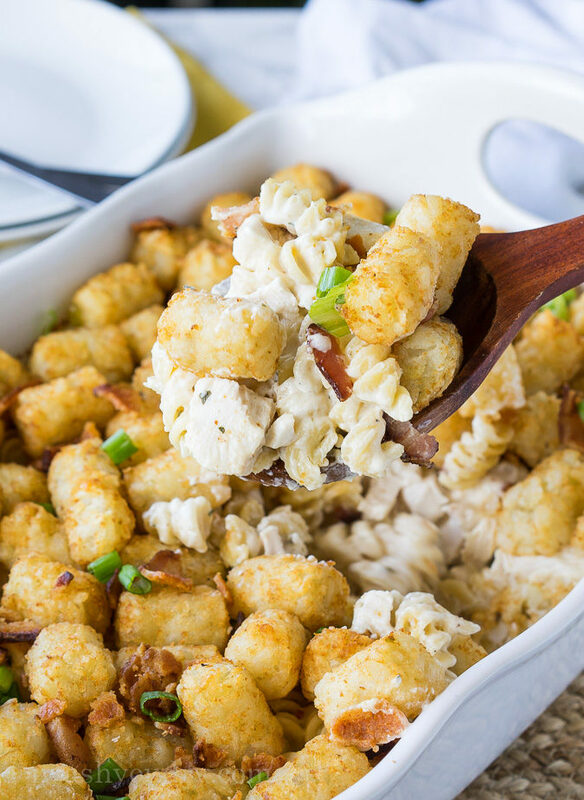 This hearty dinner is filled to the brim with creamy pasta, chicken, bacon and then topped with crispy tater tots. Cook the pasta in a pot of salted boiling water until tender. Drain and set aside. Meanwhile, whisk together the Challenge Butter and Challenge Cream Cheese in a large pan on medium heat until smooth (it may take a few minutes, just keep whisking!). 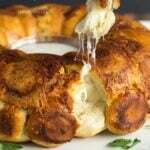 Gradually pour in the milk and ranch dressing and whisk until smooth and thickened. Add the mozzarella to the pan and stir until melted. Add the pasta and cooked chicken to the ranch alfredo sauce and season with salt and pepper to taste. 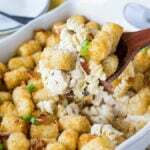 Pour mixture into a 9×13 casserole dish and top with the crumbled bacon and tater tots in a single layer. 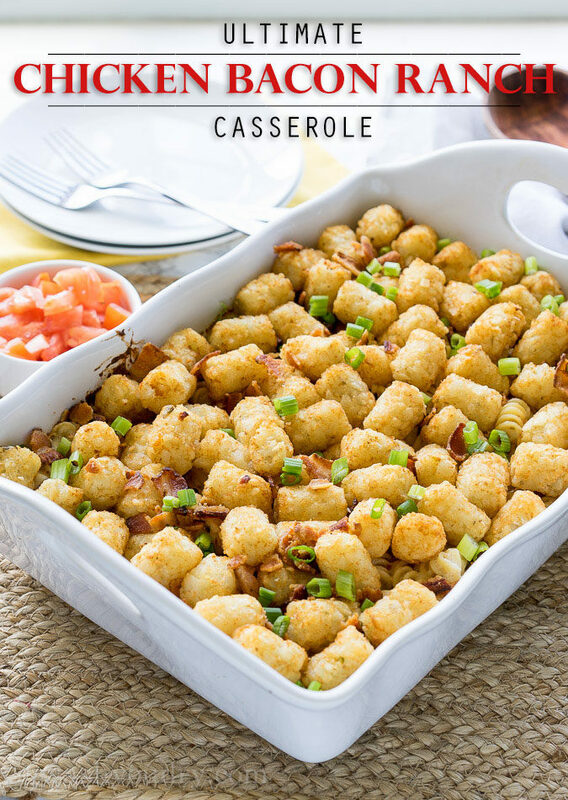 Bake casserole for 28 to 32 minutes, or until the tots are golden brown and crispy and the center of the casserole is bubbly. 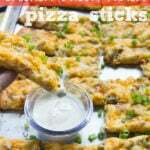 Top with sliced green onions and any other optional toppings you desire. Enjoy! 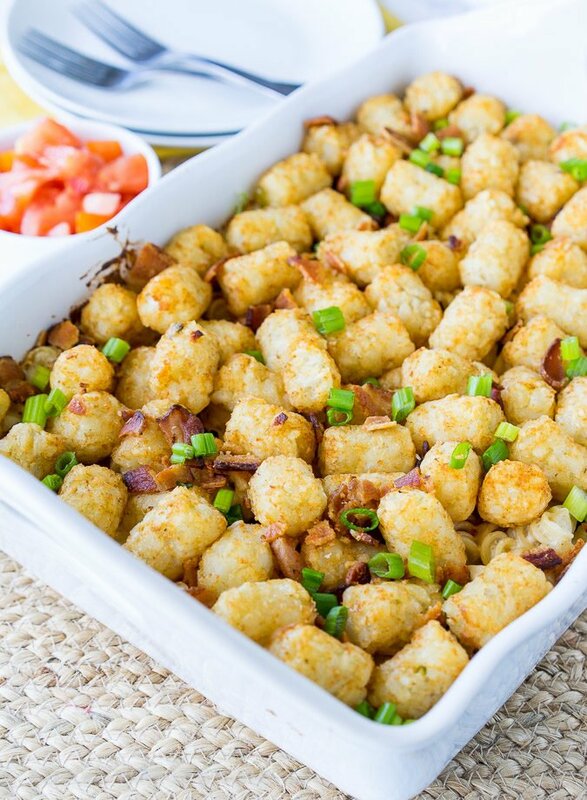 To make the tater tops extra crispy, bake them on a sheet pan for 15 minutes prior to topping the casserole. Finish baking on top of the casserole. disclaimer: this post is in partnership with Challenge Dairy. All thoughts and opinions are 100% my own. Thank you for supporting the brands that help make I Wash You Dry possible. OMG! I die for anything with crispy tater tots on top! Annnnnd, ranch infused Alfredo sauce?! 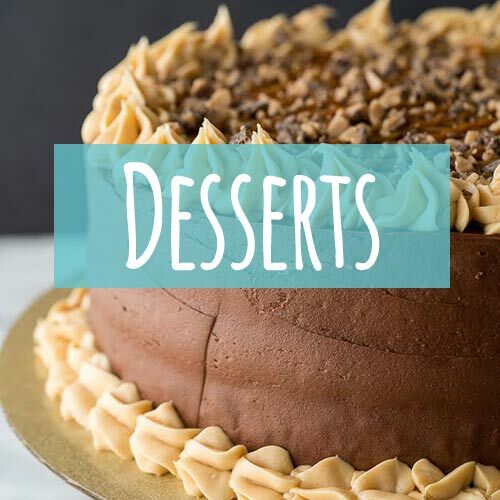 UM… YES PLEASE!